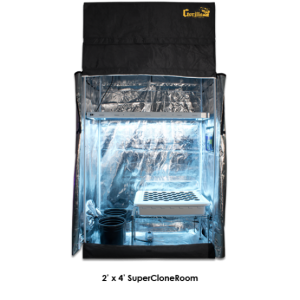 The SuperRoom 5′ x 9′ LED Soil Grow Room Package is a professionally designed, fully automated LED grow room package that comes complete with everything you need for a smooth and easy growing experience. 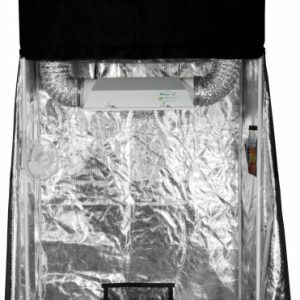 SuperCloset’s all-in-one, turn-key, LED soil grow room tent package makes indoor gardening simple and fun! 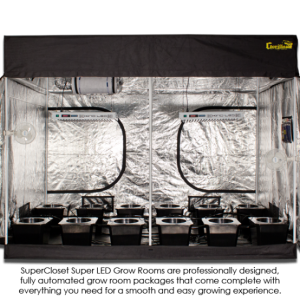 The SuperRoom 5′ x 9′ LED Soil Grow Room Package is a professionally designed, fully automated LED grow room package that comes complete with everything you need for a smooth and easy growing experience. Grow like a professional! 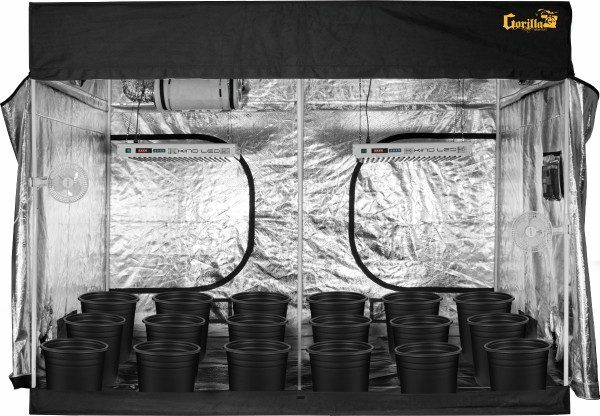 The SuperRoom 5′ x 9′ LED Soil Grow Room Package includes a 5′ x 9′ Gorilla Grow Tent; dual Kind LED K5-XL750 grow lights; Eighteen 5 gallon soil pots; timers for complete light cycle automation; a Phresh carbon scrubber & filter; digital readout thermometer / hygrometer; an internal circulation fan; an adjustable net trellis system; an electrical GFCI adapter; a pH Testing Kit; a TDS Meter;a TechnaFlora Nutrient Bundle; an instructional DVD and a 3 year warranty! Each Soil Grow Room comes with an instructional DVD, the Grow Tips manual, a 3 year warranty, and lifetime customer service. With your SuperRoom you will harvest better on your very first yield than people who have been growing for years. You will receive lifetime grow support and consultation along with a great DVD. All SuperRooms are easy to set up, fully automated, and come with A+ BBB customer service. Competitors will sell to you and forget you. Don’t grow alone, grow with support. Welcome to the Super Family.